It's interesting to me, but perhaps not surprising, that my next book tackles the subject of fear when 2010 has been a year where I myself have had to, again and again, feel the fear and do it anyway. A year ago, I had given notice at the day job and I can't even describe how scary that was for me. I'm not a bestselling author! Yes, I get royalty checks, but they are about ten to fifteen percent of what I made at the day job. I would have to sell not one, but TWO books in 2010 to make up for my loss of income. And the one and ONLY book I had completed had already garnered a number of rejections. But I believe in listening to the still, small voice and trusting it. And it had whispered to me, after lots of discussions with my husband and prayerful consideration, "It's time." I'm going to do a month-by-month look at 2010 tomorrow or Friday, but I've learned a lot about myself this year. I've learned trusting God is hard sometimes, but I'm getting better at it. I've learned over and over again, the only thing I can control is the writing, and it's not always easy, but the key is to keep writing. When something isn't working, it's okay to scrap it and start something new. No writing is wasted writing. It is a journey. As I started my new career of full-time writer, I had to shelf a completely good manuscript that took me an entire YEAR to write, because no one wanted it. But I dug deep, told myself I didn't have to understand why things happen but needed to trust it was for the best, went for walks, scribbled in my idea notebook, and after even more rejections on other projects, I began writing what would eventually become THE DAY BEFORE. A book about fears - big and small - and how we can help each other through but ultimately, it's about confronting them straight on and not letting the fear win. So, my biggest accomplishment this year? Not that I wrote four books. Not that two of them sold. No. I think it might have been - I didn't let the fear win. Remember this? One of the best movie scenes of all time. "You must believe." Oh yeah. A modified version of the Christmas letter I sent with cards this year. As always, Scott has been working hard in our back yard. 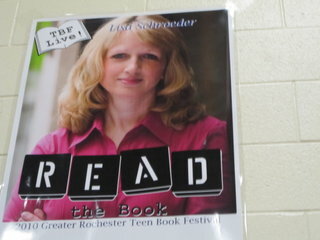 Lisa is really enjoying her job as full-time author. Our sweet little boys... oops. Our teenagers (gulp) keep us on our toes. Wishing you all the joys of the season, and a happy and healthy new year! Wow, what a great response to the contest! It was fun to read what books people are looking forward to. It really is going to be a great year of books. Congratulations to Germain, who is the winner thanks to the random generator! Germain, I sent you an e-mail. Thanks again and I'll definitely participate in another giveaway hop in the near future. Probably to give away one of my own ARCs!! 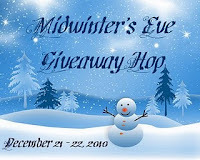 I'm really excited to be participating in the Midwinter's Eve Giveaway Hop, hosted by Kathy Habel at I am a Reader, Not a Writer. Every month, Kathy organizes a "hop" so blog readers can quickly hop from blog to blog and enter to win lots and lots of prizes. Cool, huh? Since I'm in the giving mood with Christmas just a few days away, I decided it was a perfect time to put my name on the list and give something away! So... want to know what you can win? 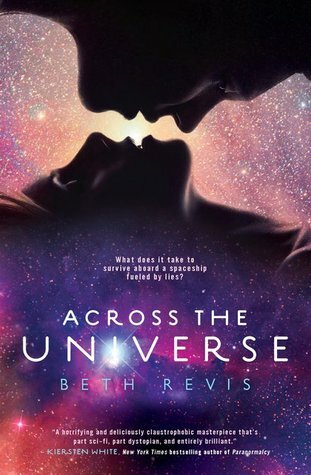 A highly sought after ARC of ACROSS THE UNIVERSE by Beth Revis which comes out in just a few short weeks from Razorbill. You can read the amazing first chapter HERE. From Goodreads: Seventeen-year-old Amy joins her parents as frozen cargo aboard the vast spaceship Godspeed and expects to awaken on a new planet, three hundred years in the future. Never could she have known that her frozen slumber would come to an end fifty years too soon and that she would be thrust into the brave new world of a spaceship that lives by its own rules. Entering my giveaway is EASY. I'm so excited about all the great books coming out in 2011! It's going to be a great year for YA, don't you think? Maybe I'm telling myself that because I have one coming out myself? Nah - it really is going to be great! :) Anyway, all you have to do to enter to win ACROSS THE UNIVERSE is leave a comment and tell me one of the books you are looking forward to reading in 2011. Please make sure you give me a way to contact you if you should win. The contest runs today AND tomorrow, and is open to anyone who has a US address. Deadline to enter is 11:59 PM, December 22, 2010. 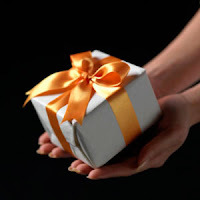 I will announce the winner on December 23rd!! 1. I have this longing to go to a movie theater and spend a whole day watching film after film. To just get swept up and away in story after story. Should I do it? Have you ever done it? I want to see THE KING'S SPEECH, THE TOURIST, TANGLED, DUE DATE, BURLESQUE and HARRY POTTER!! Of course, I've had SCOTT PILGRIM VS the WORLD sitting here to watch at home for over a week, and have I made time? Uh, no. 2. Speaking of movies, have you seen the trailer for WATER FOR ELEPHANTS? I loved that book. And the trailer makes me squeal with joy. It looks magical! 4. I'm a little sad today, as I say good-bye today to the girls and readers of the Author2Author blog. 5. My copy-edited manuscript of SPRINKLES AND SECRETS is calling to me. I better get to it. Did you know there's a National Cupcake Day? I didn't find out until about noon yesterday, thanks to the powers of twitter! December 15th is NATIONAL CUPCAKE DAY! I hope you were able to celebrate. And if not, well, you have a second chance because today is National Chocolate-Covered Anything Day!! And no, I'm not joking. Would I joke about something as serious as chocolate? Next spring, I will be participating in the Cavalcade of Authors, which I'm very excited and honored to be a part of. Middle school students from all over Washington's Tri-Cities come to learn about writing from a number of Pacific Northwest young adult authors in a full-day event. I'm leaving a day early so I can visit a middle school in Umatilla, a fairly rural area, the day before the Cavalcade. I'll be speaking to all of the students for about an hour. I've been thinking about what I have to offer the students. I'm not a stand-up comedian, unfortunately. I know kids this age love to laugh, and I'll try to throw in some funny lines, but uh, it's really not my strength. I'm thinking more along the lines of inspiration. I figure I'll share my bumpy path to publication, throwing in things I've learned along the way of pursuing my dreams - things that they can apply in their own lives. I want to inspire them to read and to write through personal stories - that those two things will help serve them well throughout life. Do you think inspiration is a good goal to have at a school visit like this one? I'm curious how others might approach a one-hour talk like this one. Authors are often asked where we get our ideas and inspiration. I've read many interviews where authors respond to this question with similar answers - from movies, books and music. I think sometimes people who aren't writers don't fully understand what we mean when we reply this way. For me, it's not just the idea that I'm looking for, although it's that too. For example, what is a small element in one book may cause me to go - hey I could do a book about THAT, and take the topic to a whole new level. But more than that, I look for replicating the emotions a piece of music or a book or film might evoke in me. Because the best stories make us feel something, and especially in my verse novels, I'm all about bringing emotions out of the reader. With every book I write, it's about finding something that speaks to my heart in such a way that I want to speak to others' hearts in a similar way. This song --- or this book or movie -- made me feel a certain way, so now let me see if I can write a book that makes *you* feel that same way. 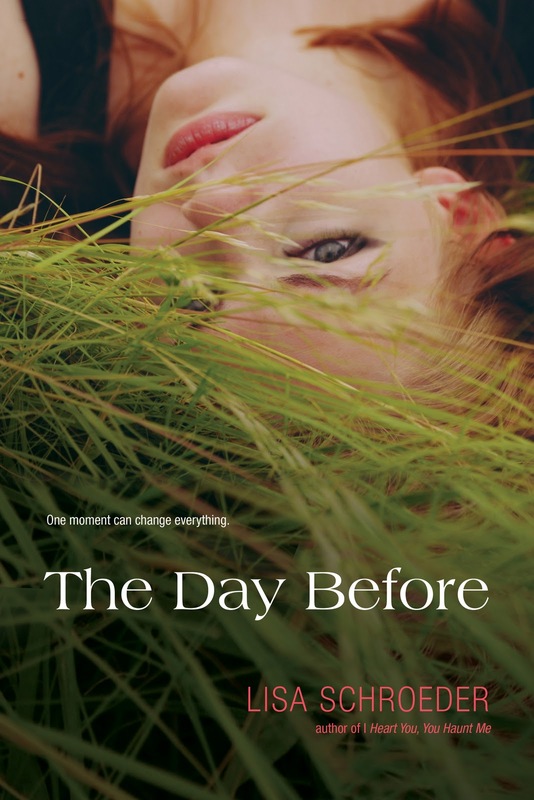 When I wrote THE DAY BEFORE, I wanted to write a book that captured the same feelings I had after I listened to Pink's song Glitter in the Air. Pink sings, "Have you ever wished for an endless night? Lassoed the moon and the stars and pulled that rope tight?" The way she sings it, you can feel the longing there, and that is what I wanted to bring to the page for my characters. For them to long for the day/night to never end, and for the reader to long for it as well. This week, think about your favorite books. They made you feel *something*. What did they make you feel? And how can you make others feel *that* in your own writing? Even if you can't listen to music while you write, try listening to a song that brings out your emotions before you write, and then try to carry those emotions with you to the page. For each of my YA novels, there is a song I listened to over and over again that helped me write. Is there a particular song that inspired any of your stories? I'm fascinated by how music, especially, plays a part in the author's writing process. 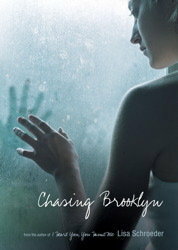 In every one of my young adult novels so far, music plays an important role. Music can be salve to our souls, and so it is with my characters. I often get letters from teens, struggling with the loss of a loved one. The playlist I've put together (mentioned in my book, CHASING BROOKLYN) is for you. I know it's hard losing someone. The pain at times seems unbearable. Music can be a comfort, whether it's music that makes us cry because we relate to it, or because it's music that gives us hope. The songs on this playlist takes a similar journey we do when we're grieving - from love and loss to healing and hope. Here are the songs from the Joy Not Sorrow Playlist given to Brooklyn. I mean, it comes "with amazing push-button shushing action!!! And a stack of tiny books to play with! Wouldn't it be cool if you could even READ the tiny books? I finished my draft! 58,000 beautiful (and at the same time terrible) words. :) I wrote around 10,000 words in 3 days. That's a lot for me! But I was SO motivated. I really wanted to finish by Sunday. 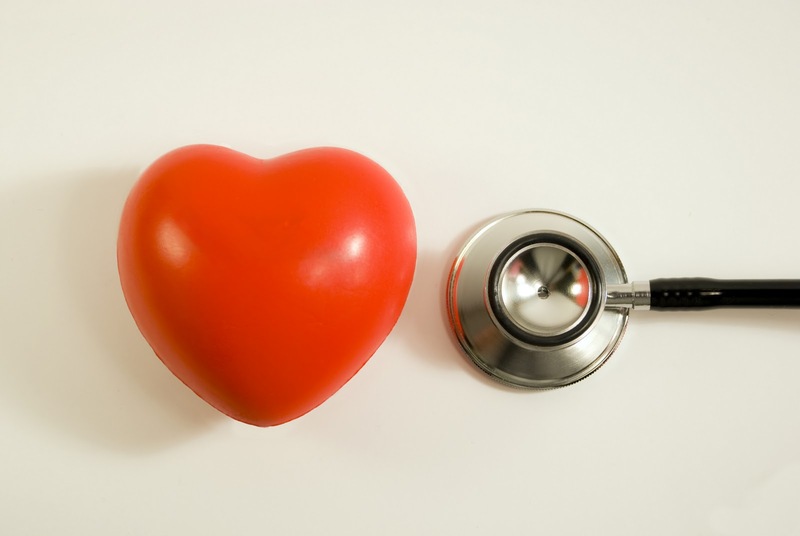 I set aside big chunks of time on each of the 3 days and I wrote my little heart out. This book was challenging for me, in a lot of ways. But as I worked hard this past week, I learned that I really can accomplish big things when I set my mind to it. I think completing a first draft comes down to basically one thing - you have to want it enough to see it through to the end. You have to say, I'm going to do this, and then do it. It's all about commitment - being committed to getting to the end. When you aren't 100% committed, it's easy to quit when the going gets tough. Of course, there are revisions to be done. The book needs quite a bit of work. I've already started a notebook page of things I need to do when I go back to the manuscript and start revising. But for the next three weeks, there will be no writing. I'm basically "on vacation" now through Christmas! Yay!!! 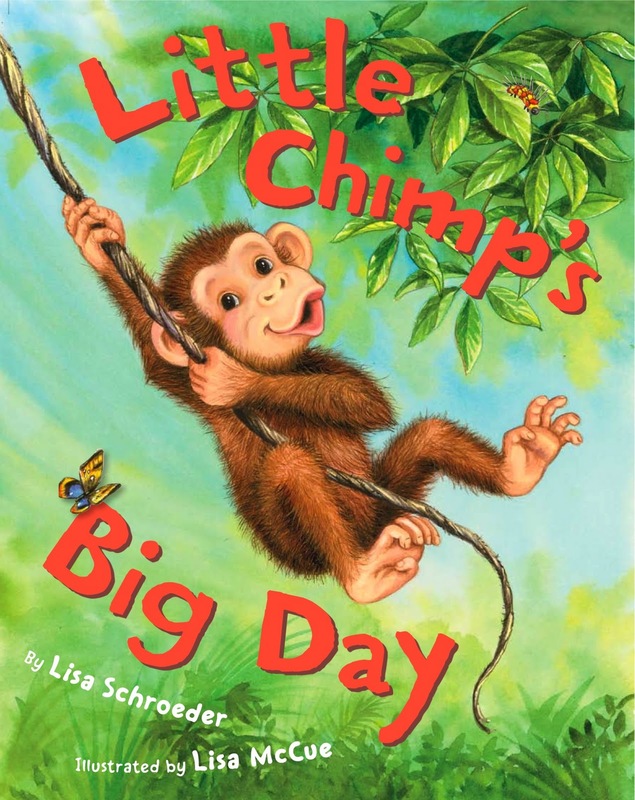 Have you had any big or little triumphs lately? I'd love to hear about them! We can celebrate together!! I know authors have varying opinions about bookmarks - whether they're a worthwhile investment or not. Personally, I LOVE them. A librarian was going to a conference and planned to book talk my book. She asked if I might send her 50 bookmarks to hand out to the attendees of the session. I was happy to do so. An acquaintance of mine wrote to me and told me how a student in her daughter's English class mentioned my book as a favorite of hers. I asked her if I could send some signed bookmarks for her daughter to pass out to kids in the class. Apparently, they were a big hit. Anytime I mail a book for a prize, I stick a few bookmarks in the envelope. Many bloggers love collecting swag to include in their prize packs, and I'm happy to send some along to them as well. If a kid e-mails me, excited about an upcoming book, I'll ask her to get permission from a parent to give me her address, then I mail signed bookmarks for her and her friends. I always get the bookmarks as soon as I have the cover, so I have a whole lot of months to be passing them out. Yesterday, my order arrived for my next YA novel, THE DAY BEFORE. I think the designer did a great job. I recommend her and the company she works for ALL the time. She doesn't charge for putting the design together. All I have to do is send her what I want on the front as far as text goes, what I want on the back, and attach a high resolution jpg of the cover. She does the rest. Their prices are pretty reasonable, I think. (You can go to the web site and see a chart of prices, depending on what you want on the front and on the back). Yes, it's cheapest if you design the bookmark yourself and send it out to be printed, but I don't know how to do that and frankly, don't want to spend the time. So it's worth it to me to just have Kelley do it for me! The company I use is www.iconix.biz - kelley's e-mail address is kelley(at)iconix(dot)biz. What about you - are you a fan of bookmarks? Today for Thankful Thursday, I'm going to refer you to a beautiful essay by Francisco X. Stork, author of MARCELO IN THE REAL WORLD and THE LAST SUMMER OF THE DEATH WARRIORS. He talks about the gift that is writing, and I love what he has to say about it. Francisco is a guest on Matthew Quick's and Alicia Bessette's Quest for Kindness blog. There are many wonderful entries, if you ever need a pick-me-up, it's a great blog to read. I wanted to quote a sentence or two from Francisco's essay, to whet your appetite, but there is so much wonderful goodness there, you just need to hop over and read it. 2. I had a $5.00 reward certificate at Best Buy, so I went searching for Josh Radin's new CD. It was only $7.99, so wow, I got it for 3 bucks! I really like it. 3. My post this morning over at the Author2Author blog is about characters. Rachel Harris commented that she loves the book THE PLOT THICKENS by Noah Lukeman. Have any of you read it? I just put it on hold at the library. 4. My son is taking the PSAT tomorrow morning. I think I'm more nervous than he is. He's like this about it - all calm, cool and collected. 5. This morning, I'm writing. Want to make some serious progress on the WIP. My working title is CHERISH. Remember this song? all Chilean miners are free - yay!! "That's the way things come clear. All of a sudden. And then you realize how obvious they've been all along. ~Madeleine L'Engle"
This weekend I went to Wordstock, a literary festival in Portland, and listened to a few YA authors talk about writing and their books. One thing that always fascinates me is how hungry people are for information as to how to get a book written. And it seems to me, now that I've been in the audience a number of times, listening to authors talk and answer questions, that we ask authors to talk about their writing process again and again, as if there is some secret key that will unlock the mystery for us. I think writers new to the experience of writing a novel believe somewhere in the back of their mind that there must be a right way and a wrong way. And more than wanting to do it the right way, they are very afraid of doing it the wrong way. Yesterday, Becca Fitzpatrick, author of HUSH, HUSH said she uses note cards and writes scene after scene on them, and shuffles them around, trying to find the right order, then begins writing, only to eventually throw them all away and start again with new note cards containing new scenes. She said she may do this three or four times while she's writing a book. L.K. Madigan, author of FLASH BURNOUT and THE MERMAID'S MIRROR, defined her process as plunge, persist, and polish. That is, plunge into the story, persist through the murky middle when it gets hard, and use revision (lots of revision, she said) to polish the manuscript when it's done. For me, every book is different. Some books beg to be discovered as I go along (My first novel, I HEART YOU, YOU HAUNT ME was very much a discovery novel). Other books want me to have a good plan in place so I can write quickly and efficiently (with SPRINKLES AND SECRETS, I had a brief summary of what each chapter would be about before I started writing). Some books, like my current WIP, are a combination of discovery and planning. And it's perfectly okay to begin one way and decide a different way would serve the story better. So, here is the big news - there is no right or wrong. There is only different. And like everything else in life, it's up to you to figure out what will work best for you. I know we often long for someone to shine the light and show us the way. Especially when we're in that murky middle. My advice? Trust in yourself. Listen to your characters. Have faith. And as Lisa said, persist. 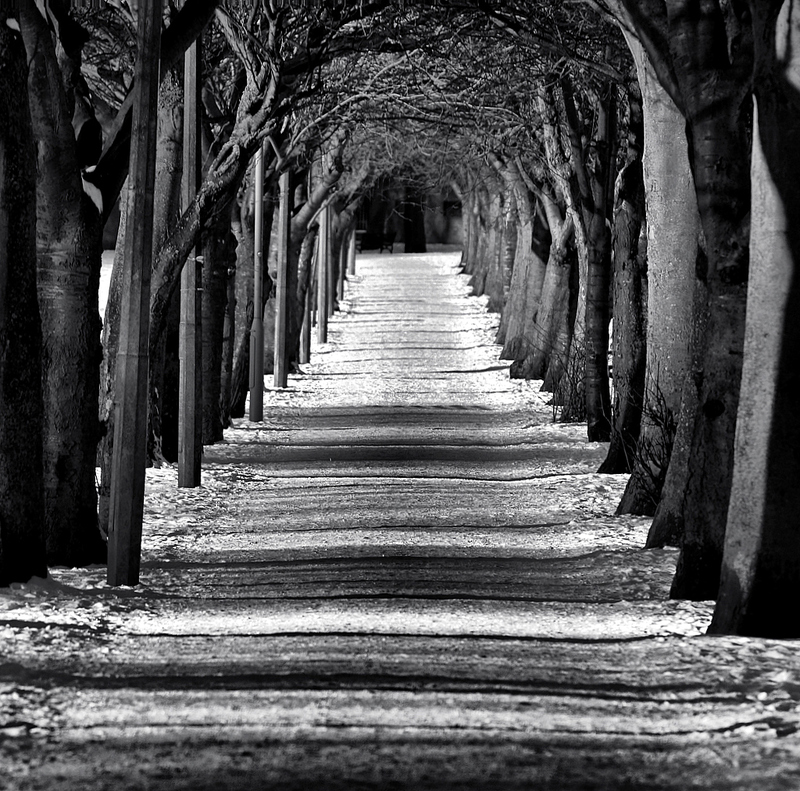 I often tell myself when it gets really hard, there is no way out but through. This week, you may want to try note cards. You may want to try a chapter-by-chapter summary. You may want to write and discover your story as you go along. But whatever way you choose - persist! 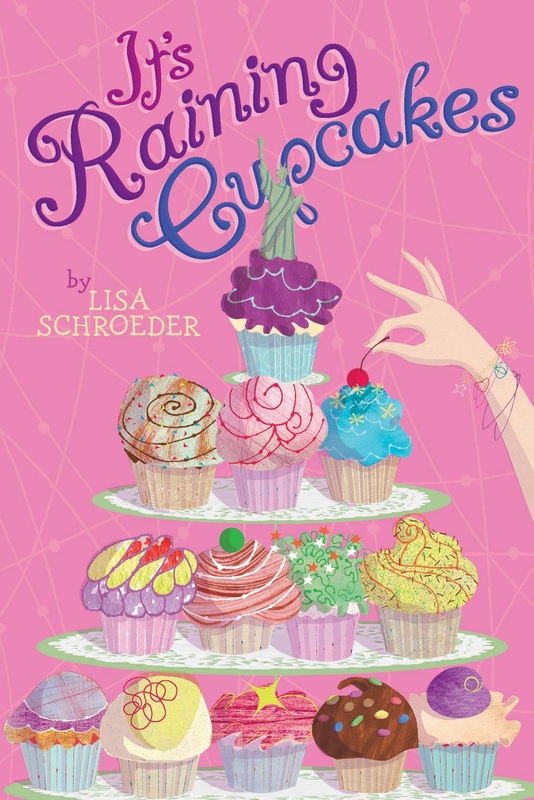 Lisa Schroeder's SPRINKLES AND SECRETS, a companion novel to IT'S RAINING CUPCAKES, about a 12-year-old who is excited to have the opportunity to audition for a TV commercial, until she learns the company is Beatrice's Brownies, the biggest competitor to her best friend's family's cupcake shop. 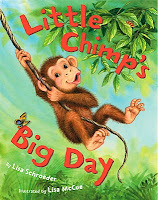 The book picks up right where the other one left off and is narrated by Sophie, Isabel's best friend! It will be published by Aladdin in Fall, 2011. I really loved Melissa's post yesterday where she talked about going with your gut when you're writing. She talked about writing one scene where she didn't allow herself to do that, and the writing felt like she was simply "moving dolls around in a doll house." Isn't that *exactly* what it's like when we're struggling to make things happen? Sometimes, we have to do it and come back later and fix it, because there's no other solution. But it's SO much better if we can let ourselves move into that space where we are more inside the story than outside of it - living inside the doll house with the dolls, instead of trying to control them from the outside. When I was writing my upcoming YA novel, THE DAY BEFORE, there was this huge moment that happened toward the end that I hadn't seen coming. It had been a long writing day. A GOOD writing day. One of those glorious, words-are-flowing and things-are-happening kinds of days that you never want to end. And then, from literally out of nowhere, comes one of those magical moments that we live and write for. I'm typing along and lo-and-behold, this "thing" that up 'til now had just been a fun little thing between the characters became this BIG thing. My main character had this ah-ha moment and it was so real and honest because it was an ah-ha moment for me too!! I couldn't have planned it better if I'd tried. It was a shiver-invoking moment, and one where I literally stopped and whispered, "thank you." When my editor sent me the marked-up manuscript, at that special spot, she wrote, "Yes! YES! Love how you take us through all this to get to this point. Yes!" I almost felt like a fraud. Um, wait, I didn't do it! Did I? Last Friday, Cheryl Renee Herbsman wrote a post in which she shared five reasons why she writes. Number 5 is my favorite. She wrote, "Because the little magical connections that happen all on their own remind me that I am not alone." It is hard to not think too hard as we write. 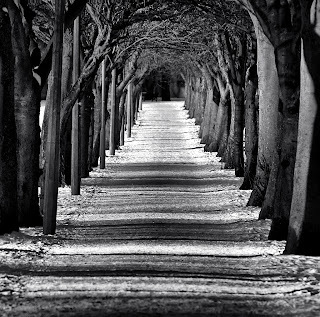 To not worry about where we're going, how we're going to get there, if the path we're taking is the right one or not. With every book, every single book, I have these worries. I start out with a general sense of where I'm going, but most of it, I'm on a journey of exploration. And at first I fight it! Everything inside of me says, this is wrong, you don't know what you're doing, this isn't going to be any good, you need to spend more time thinking about this book, blah blah blah. AND, with each book, there comes a a day, a time, a moment where I get really tired of the doubt and uncertainty and my constant questioning of everything, and I basically say - "Okay. I'm surrendering now. I'm ready to give up trying to know and understand it all right now, and just let it happen." That's when I set the doll down, look around, and step INSIDE the doll house. OMG, it's so much more FUN in there, you guys!! Last week, I struggled along on my WIP, trying to move the dolls around. This week, I think I'm ready to set them down and see what happens. What about you? Want to join me! ?